Mother Teresa's "Revolution of Love"
The Grace of Yes is the latest (and, might I add wonderful!) book by Lisa Hendey of CatholicMom.com. 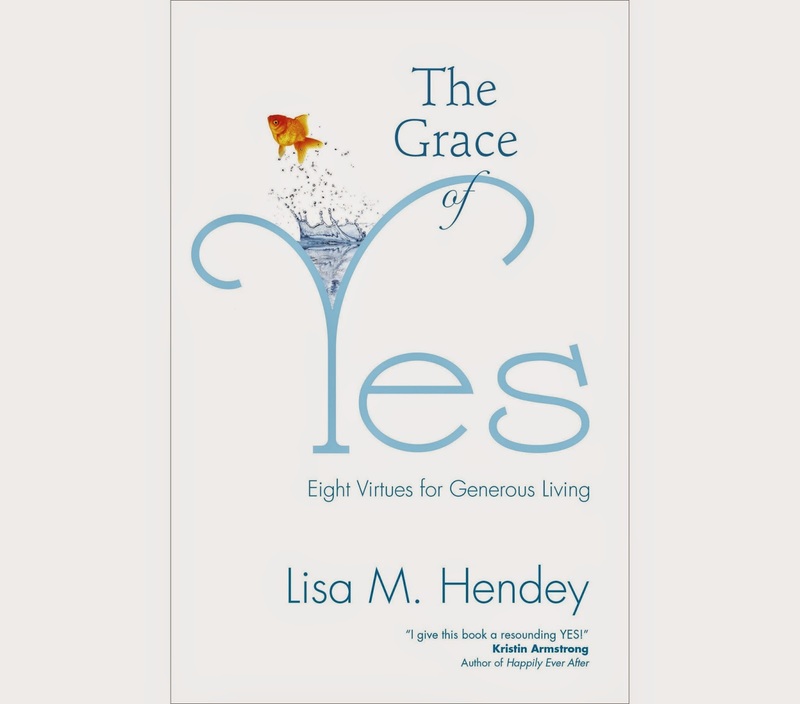 The next book club on that site will feature her book and will begin on November 8th, so pick up your copy today: The Grace of Yes: Eight Virtues for Generous Living and plan to join the conversation! One of the great joys of homeschooling is learning right along with your children. 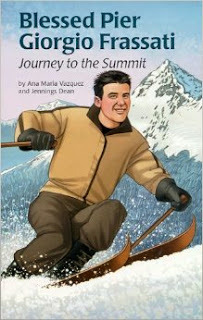 This past quarter, we have been reading "Blessed Pier Giorgio Frassati: Journey to the Summit" by Ana Maria Vazquez and Jennings Dean. Part of the Encounter the Saints Series published by Pauline Media, this particular book featured a saint I had never heard of. It is always a pleasure to be introduced to one of heaven's residents and this book was a true delight. Pier Giorgio Frassati lived only twenty-four years, from 1901 - 1925, but he packed a lifetime of work and service into that short period on earth. Born into a wealthy Italian family, he was expected his father's footsteps as owner and editor of one of Italy's leading newspapers. Instead, he chose to forge his own path, and while excelling at sports and applying himself to his studies, focused on living a life of service to others. Even as a teen, he gave generously to the poor and chose to keep his good deeds secret. He became a third-order Dominican. He died from polio and, much to his parents' surprise, hundreds of people they didn't know mourned his passing. Everyone seemed to have a story about Pier's generosity. He was beatified in 1990. This book is designed for young people, but as an adult, I enjoyed it just as much as my children did. Blessed Pier Giorgio is an inspiring role model for teenage boys. Feeding the hungry is one of our corporal works of mercy. While I always advocate feeding those near to us via donations to a local food bank, it is truly amazing how far our money can go to help feed those in other parts of the world. Mary's Meals is an organization that works to feed children throughout the world. It costs Mary's Meals $19.50 to feed one child for an entire school year. Think about that - what we Americans pay for an inexpensive meal at a restaurant can feed a child for a whole year! O God. the Apostle, Saint Jude Thaddeus was a faithful servant and friend of your Son and Our Lord, Jesus Christ. Your Church honors him and invokes his intercession universally as the patron of those in difficulty who have found no other help. Grant that through St. Jude's intercession we may know your will for us, have the strength to do it, and enjoy the consolation of your Holy Spirit, as well as your blessings in time and in eternity. Heavenly Father, may St. Jude intercede for us in all our necessities, tribulations and sufferings particularly (here make your needs known.) With him and with all the saints may we praise You with Your Son and Holy Spirit forever. Amen. St. Jude Thaddeus; pray for us and for all who invoke your aid. In our modern world, it can be extremely challenging to live a virtuous life. “The concept of virtue is often considered outdated and old-fashioned, but for Catholics, becoming virtuous is essential for eternal salvation.” What, then, can we do? Thankfully, we have saints we can look to as role models in virtue as we journey through the difficulties of life. Put simply, “virtue is the pursuit of good and the avoidance of evil.” Traditionally, there are seven principal sins with seven virtues that oppose them: greed – charity, lust- chastity, sloth – diligence, pride-humilty, envy-kindness, anger-patience, and gluttony-patience. 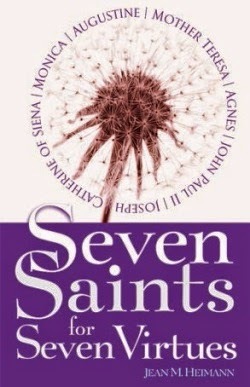 In Seven Saints for Seven Virtues, Jean Heimann offers the example of seven well-known saints as well as lesser-known examples of people living holy lives in order to help readers grow in these essential virtues. The saints profiled include Blessed Mother Teresa of Calcutta (charity), St. Agnes (chastity), Pope St. John Paul II (diligence), St. Joseph (humility), St. Catherine of Siena (kindness), St. Monica (patience), and St. Augustine (temperance). Each chapter includes a brief biography of one of these saints, explaining how he or she practiced the selected virtue. Heimann then offers the profile of someone not canonized who also exemplifies that virtue. She also provides suggestions on how to put the selected virtue into practice in our daily lives. Seven Saints for Seven Virtues is designed to show that all of us are capable of living virtuous lives, provided we are willing to work at it and follow the saints’ holy example. While this book would be helpful for anyone seeking to grow in holiness, it would be especially useful for teens and young adults as they are forming their adult character and choosing how they will live. It is a practical, encouraging book that has the power to change lives. Dysgraphia : How Can You Help Your Child? Dysgraphia causes difficulty in writing (the act of getting thoughts onto the paper), handwriting (legibility) and spelling, and both of my boys have it (those on the Autism spectrum and those with ADD or ADHD can be especially prone to having it, although it is not limited to those two groups). I've done enough research on the topic to write a doctoral dissertation in an effort to help my children be at least functional writers. As far as my own efforts go, last year and this year we have used products from the Institute for Excellence in Writing for the writing process component. This year, we are using the Handwriting Without Tears App to help with letter formation and All About Spelling (starting with Level 1) to work on spelling. I'm pleased with these products and the incremental progress we are making, but I honestly feel that even if I had these products a few years ago, it wouldn't have helped at that point. At that stage, almost every encounter with writing ended with a meltdown. At 11 and 13, both their brains and their personalities have matured. While they still complain about it on occasion and struggle with the process, they can recognize the value in learning how to write and spell. 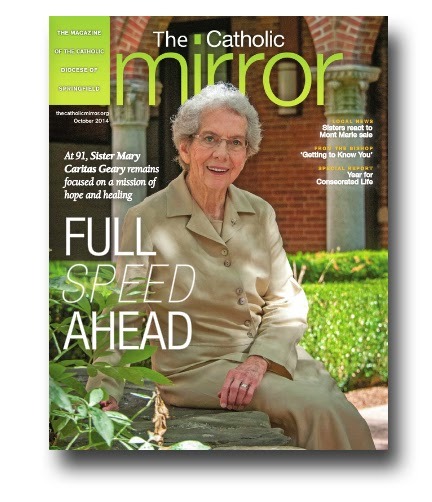 came out Mother's Day weekend and was the talk of the Catholic Mom blogosphere, so I do realize that I am coming very late to this party. (This is what happens when you are #127 on the hold list at the library!) However, I finally got to see this movie this past weekend, and I have to say, it was worth every moment of the wait. 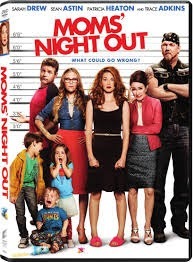 Three moms try to take a much-needed night out and it turns into a total comedy of errors. Realistic? Not really. But this is totally laugh out loud funny (even my boys were literally rolling on the ground). If you are a mom, you will recognize yourself in these women at least a little bit. You'll laugh and maybe even cry a little. At the very least, it will be a family-friendly couple of hours, perfect for a family movie night with pre-teen or older kids. 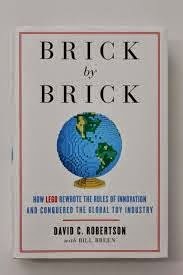 Brick by Brick by David C. Robertson, professor of practice at the Wharton School at the University of Pennsylvania, is a case study on the Lego company. It is designed to provide lessons on what works and what doesn't in business, especially a business that depends on creativity to survive. I was reading it from a different perspective, however - as a mother of a young man who has spent the last decade obsessed with those tiny bricks in all their various forms. I've pored over catalogs, spent hours assembling sets, discussed pros and cons of various sets, been amazed by the creativity and detail, and learned the basics of programming a Mindstorm robot. While I don't enjoy being impaled by a Lego when in bare feet, I love that they are a creative toy that encourages imagination. I enjoyed learning more about the background of this company that has become such a part of my life, especially the early history of how the Lego was developed. The more recent history provides insight into why some lines have been discontinued while others thrived. Brick by Brick pulls the curtain back and provides a behind-the-scenes look at an iconic company. This year for history, I wanted to start with a unit on US Government. The boys spent the last six weeks reading about The Constitution Convention and The Constitution and seemed to have a decent understanding of the document. Where to go from there? I saw an article on some people being sworn in as U.S. citizens which got me thinking. My children are U.S. Citizens - I wonder if they could pass the test to become one. At the very least, it would give me some idea of what they know and don't know and what we need to work on. So, I picked up McGraw-Hill's U.S. Citizenship Test with DVD and had them answer the 100 questions. It was interesting to discover what they did, in fact, know, and what areas are in need of further study. I emphasized to them that this wasn't for a grade, but rather a diagnostic tool. However, they still wanted to know what their grades were - I'm happy to report they both passed with a C or better. They have a good grasp of early American history with the 20th century being a bit more challenging. (Honestly, they probably did better than I would have done at their age. In 13 years of school, I never learned American history past the Civil War. We always started at the beginning and ran out of time by the end of the year. It wasn't until I was in college that, as a history major, I took courses in modern American history.) They didn't know who our MA senators, U.S. Rep, current chief justice or Speaker of the House were. They had no idea about capitalism or communism. One didn't know the name of our national anthem, although he did offer to sing it. So, now I know what we need to focus on for the next part of our historical experience. I've requested some books on economics from the library as well as on local government. After that, I think we will focus on post Civil-War America. I think this was a very worthwhile and informative experience. She begins the diary December 8, 2005, the feast of the Immaculate Conception, six months after her son Tim died. Tim suffered from Tourette Syndrome and obsessive compulsive tendencies. He died by his own hand at the age of fifteen, but Montanaro does not view it as a suicide. She does not believe that he intended to cause his death. She writes, “I do not imagine he had any idea that his actions would result in the finality of death. I view his last compulsive act as an unpremeditated action that ultimately had a tragic ending.” It’s this belief that allows her to trust that her son, if he is not there already, will ultimately be united with God in heaven. Montanaro’s writing is beautiful and meditative and hers is a life filled with faith and trust in God, even in the darkest hour. The book is filled with family photographs of Tim and his older brothers which add to the narrative. 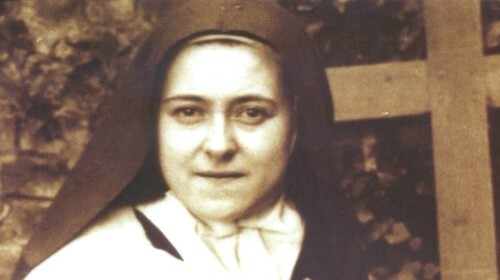 I recently read “Trusting God with St. Therese” by Connie Rossini. 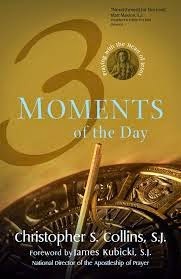 Rossini speaks of reading this book and how it helped her find meaning and peace after a friend had also lost his life to mental illness. It helped her trust that the devil doesn’t get the last word. 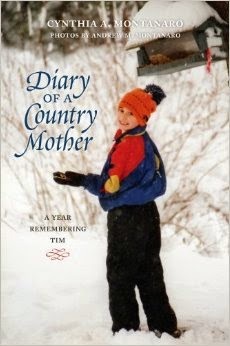 Even if that one person was the only one who this book helped, “Diary of a Country Mother” would be a success. This is a touching, heart wrenching book about the value of life. by Christopher S. Collins, S.J. October 7th is the Feast of Our Lady of the Rosary which makes it a great day to pray the rosary! (Any day is a great day, but this is an especially great one!) Pray for peace; pray for an end to abortion; pray for those with cancer; pray for any intention you may have or in Thanksgiving for blessings received - the Rosary is a powerful prayer!